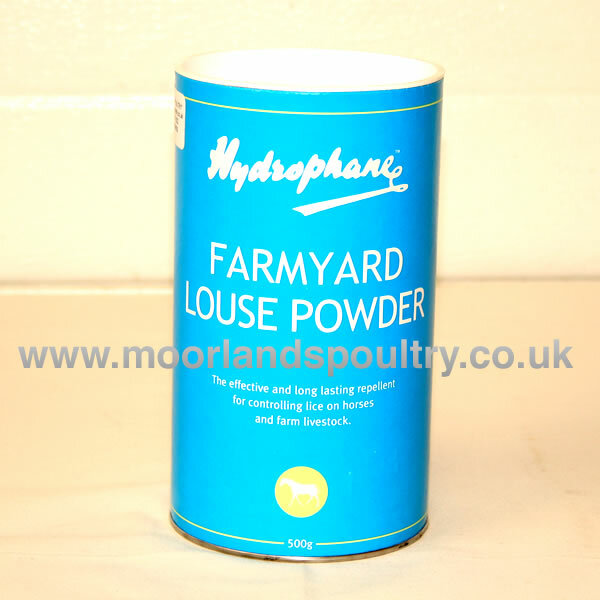 Hydrophane Farmyard Louse Powder is a triple action treatment against a wide range of lice, mites and other parasites which affect horses, ponies and cattle. You can apply the powder directly to the animal itself, but it is also useful for bedding, tack, blankets, etc. Available in a 500g carton.